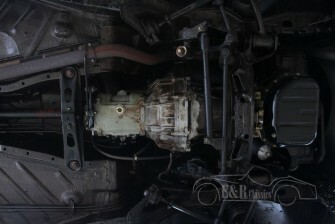 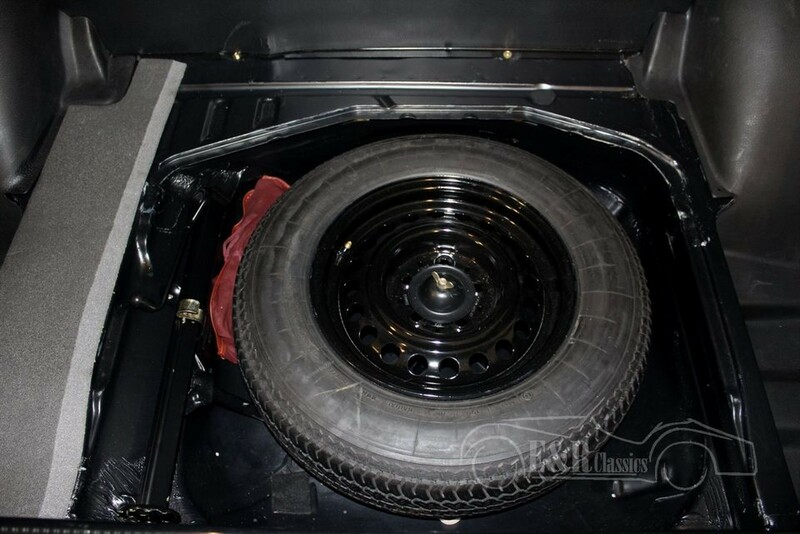 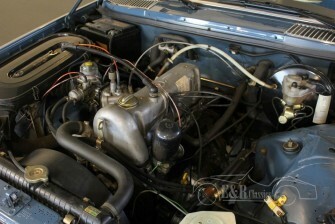 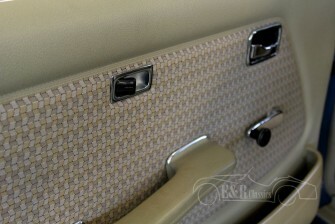 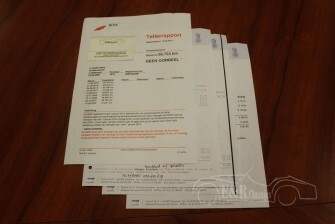 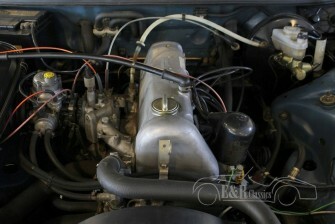 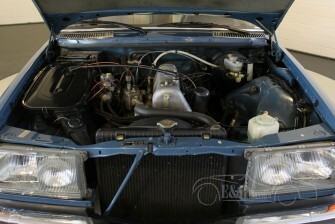 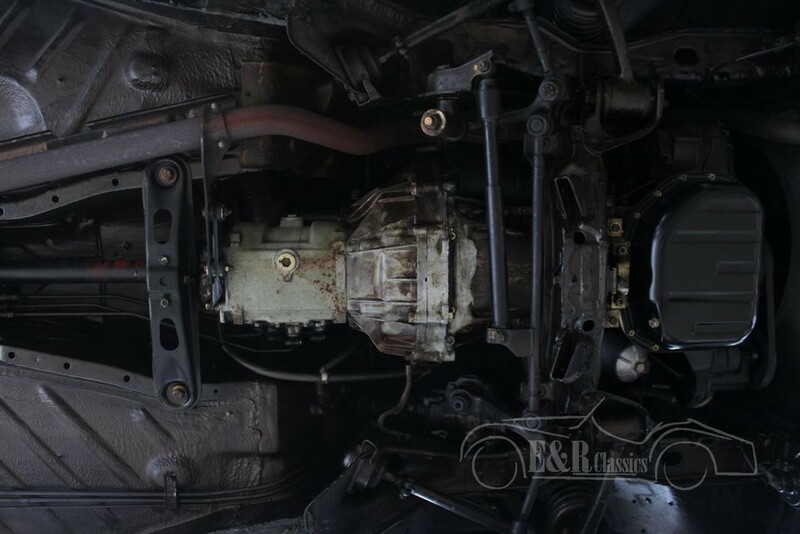 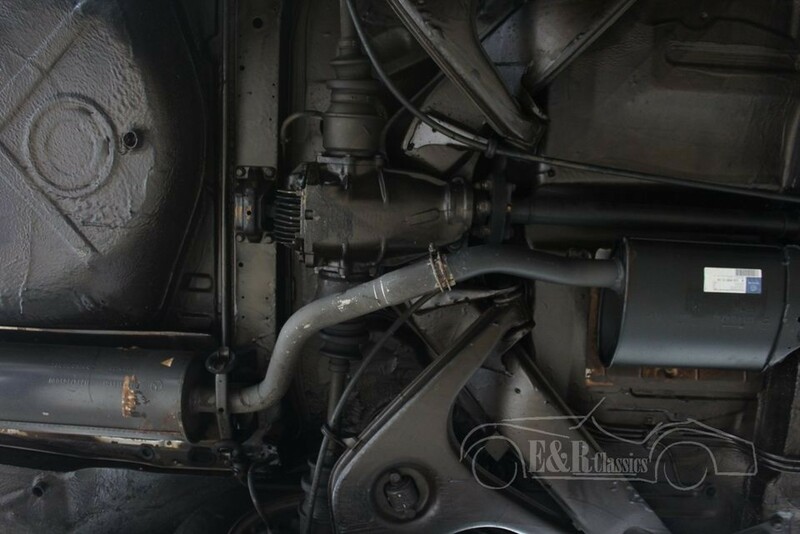 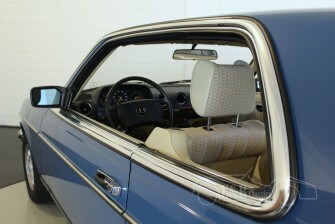 This Mercedes-benz W123 has been built between 1976 and 1985 en delivered in many variants. 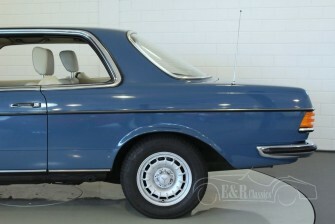 Also this rare coupe version. 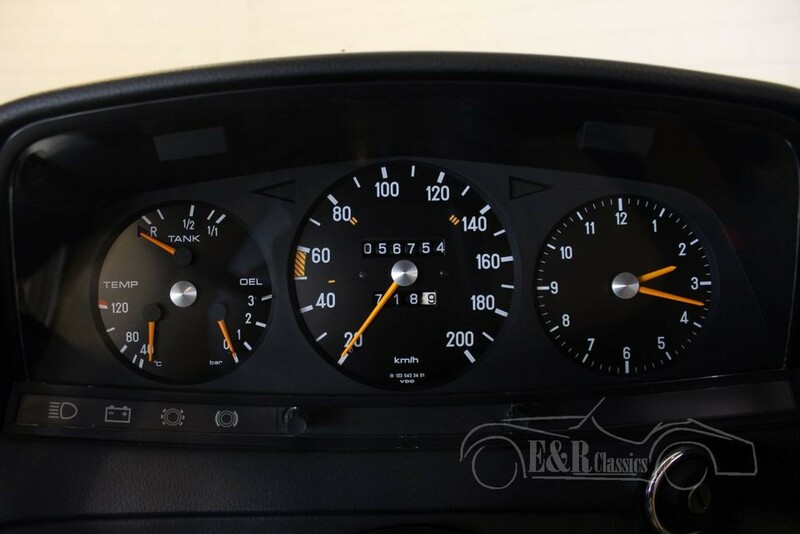 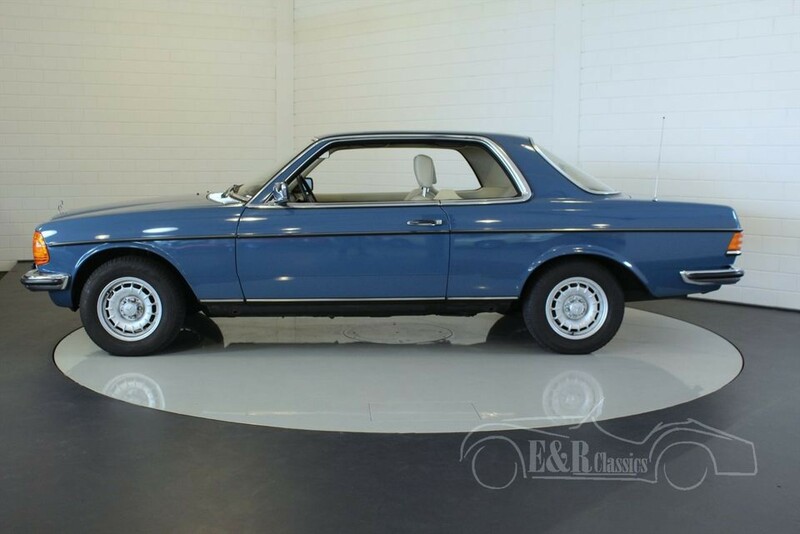 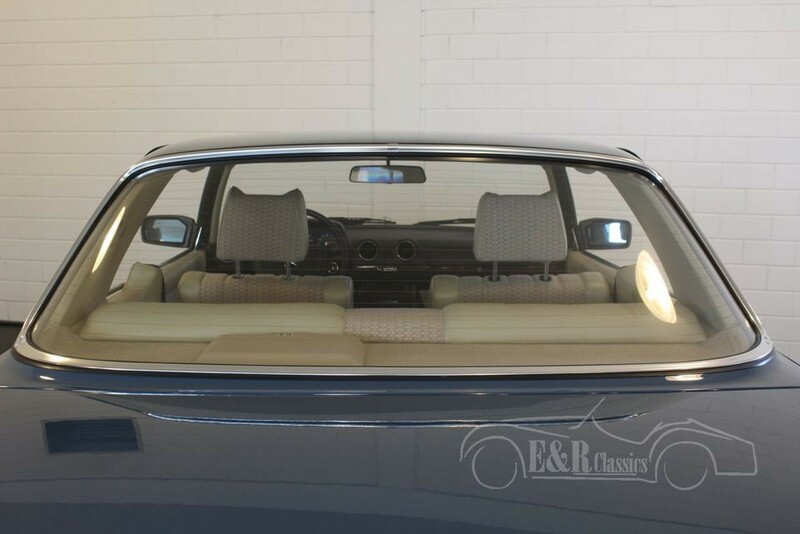 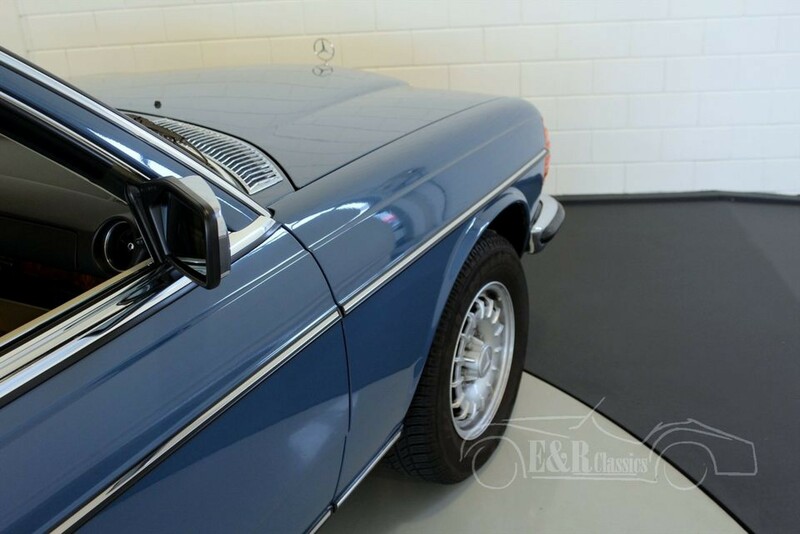 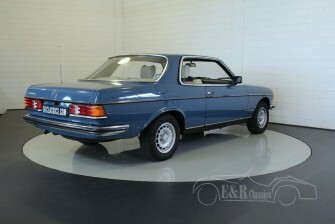 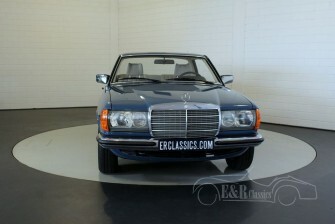 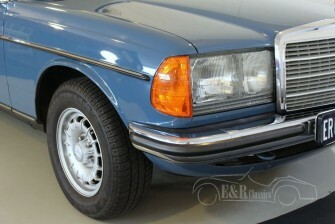 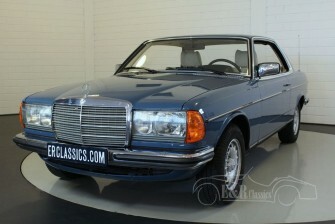 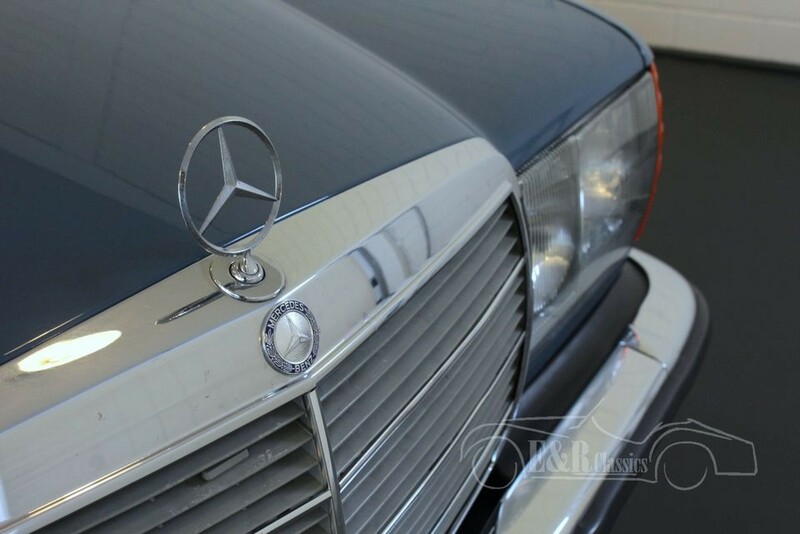 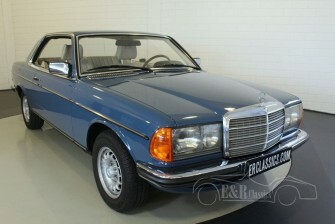 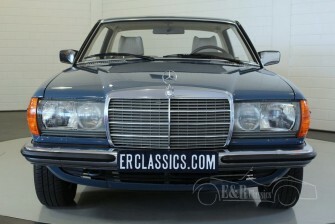 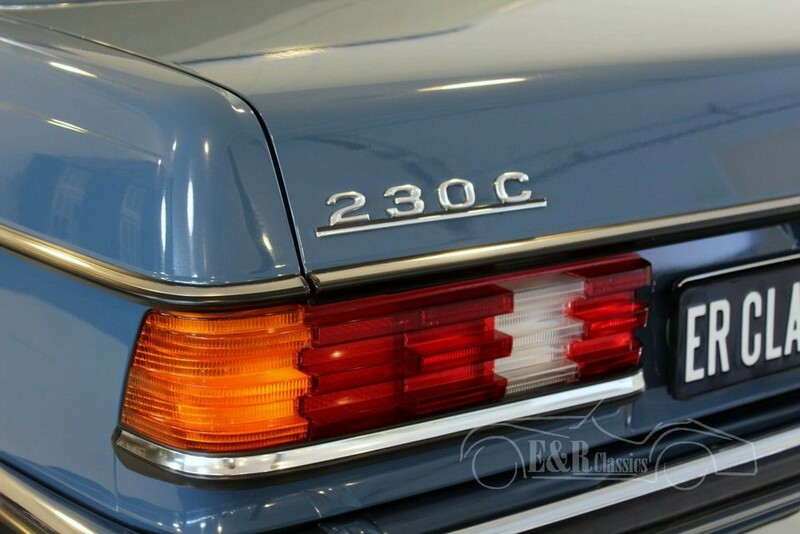 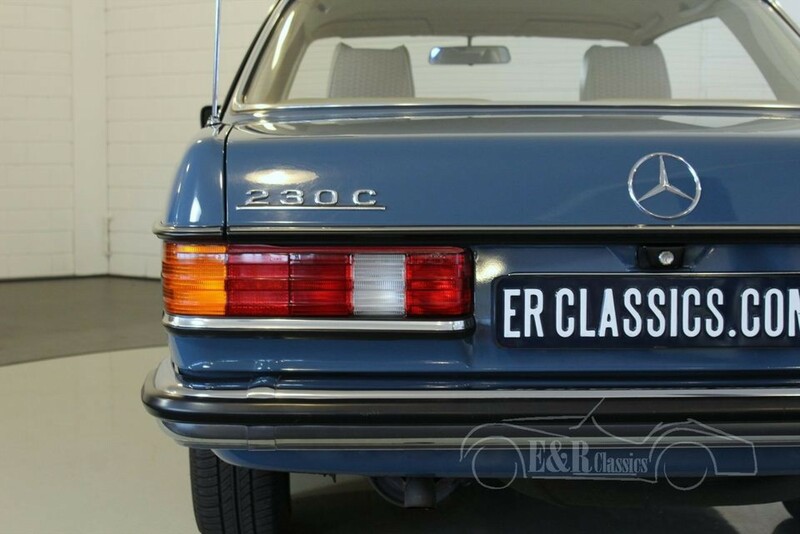 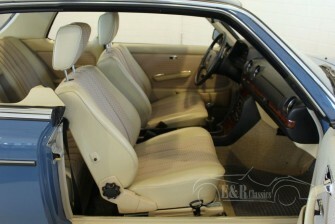 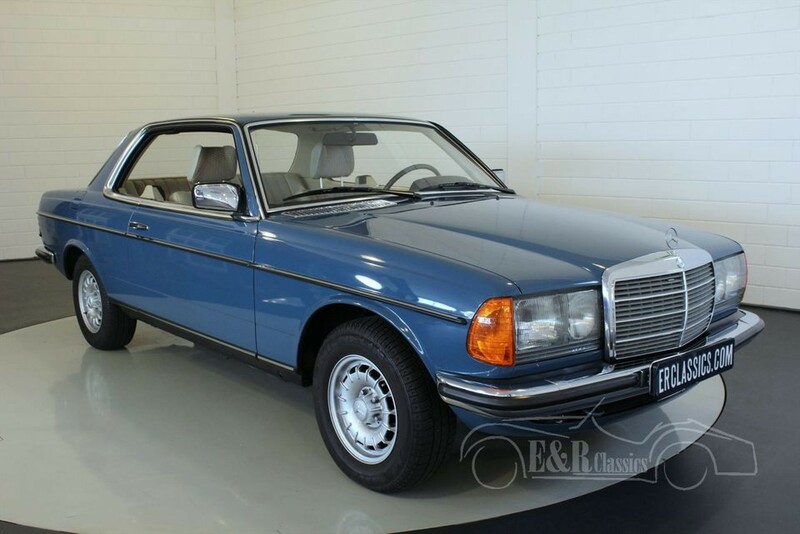 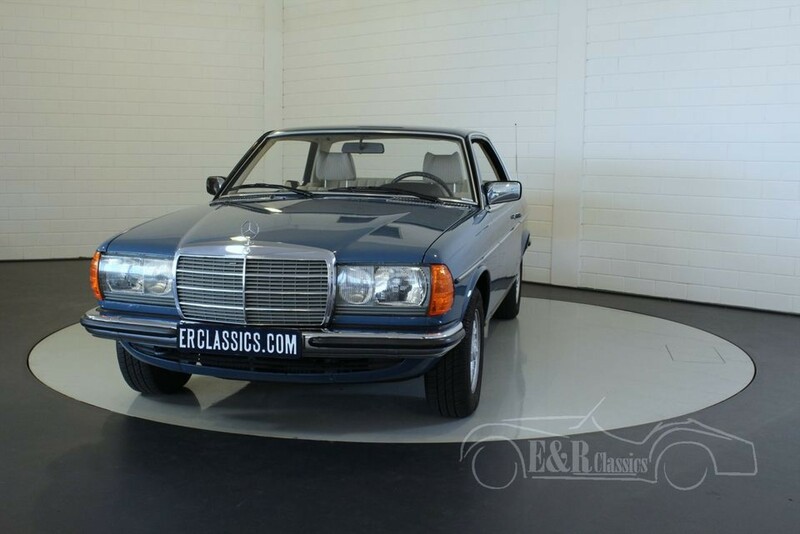 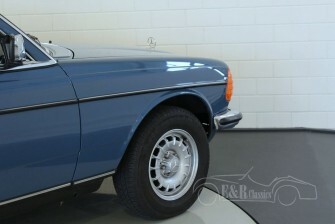 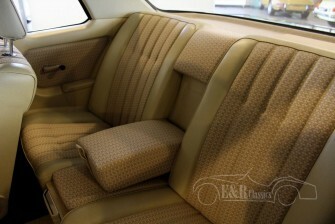 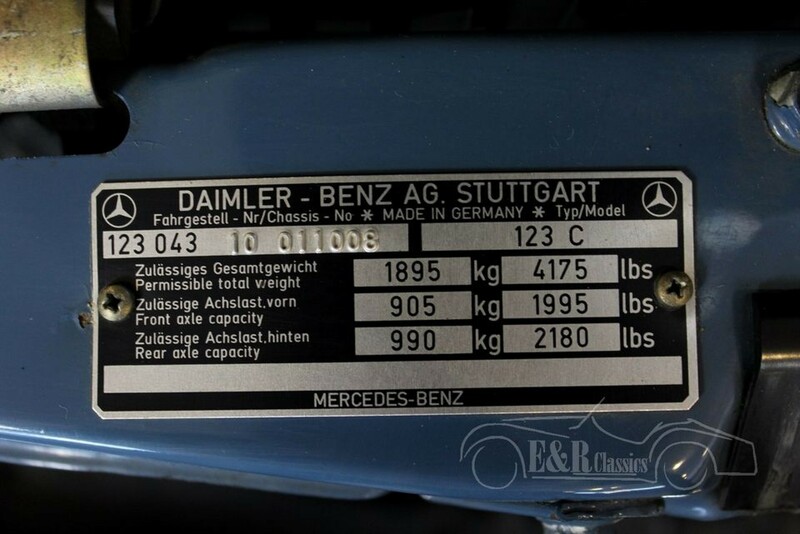 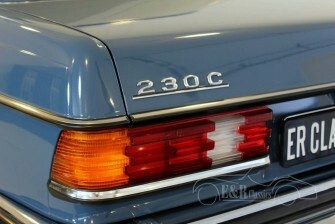 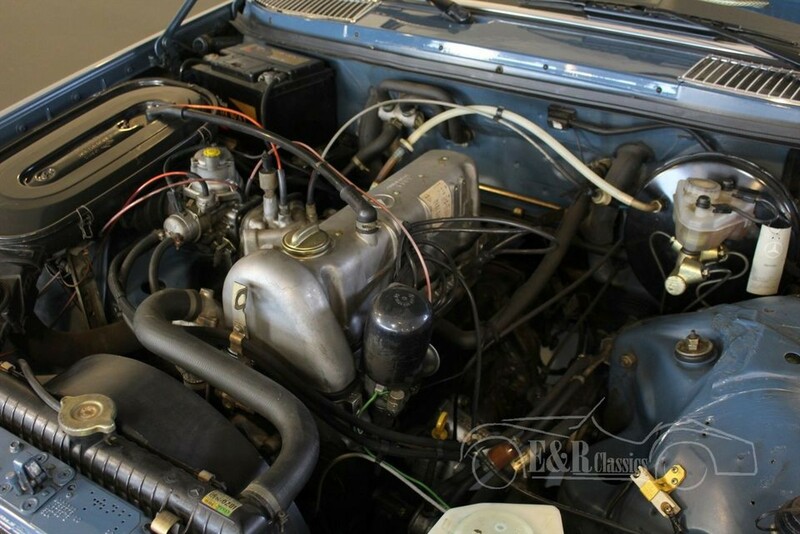 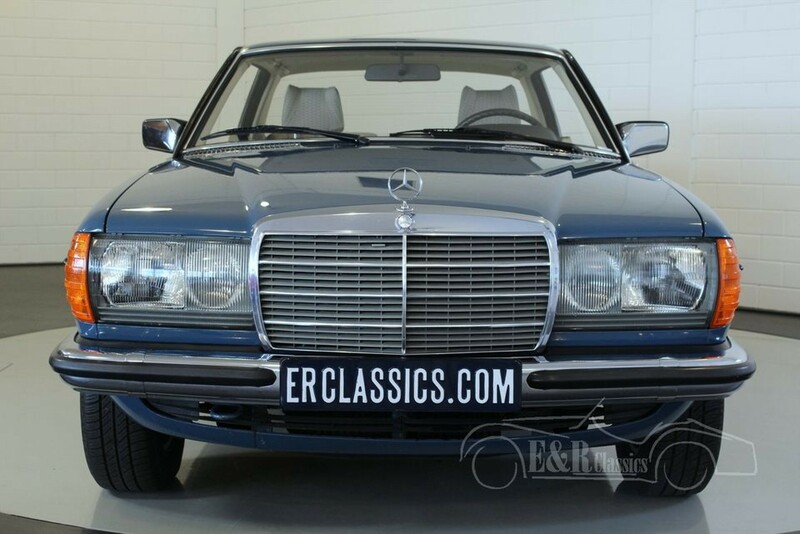 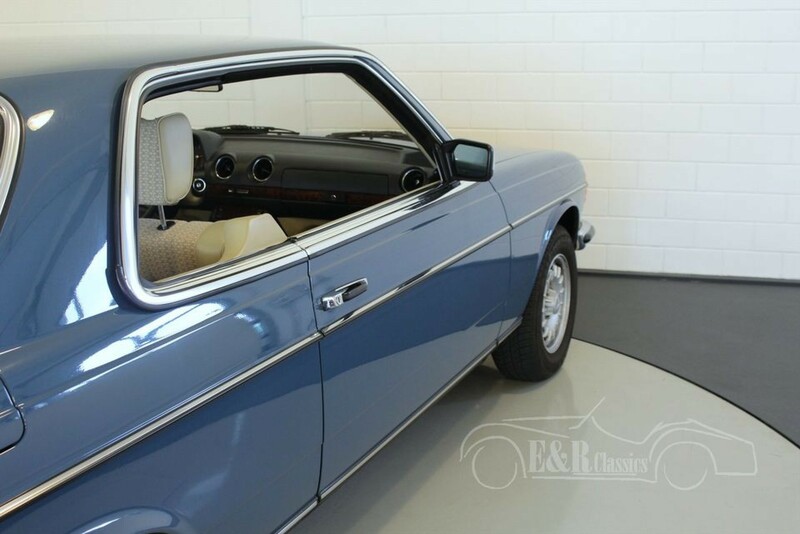 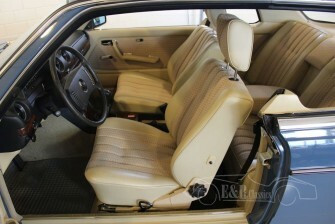 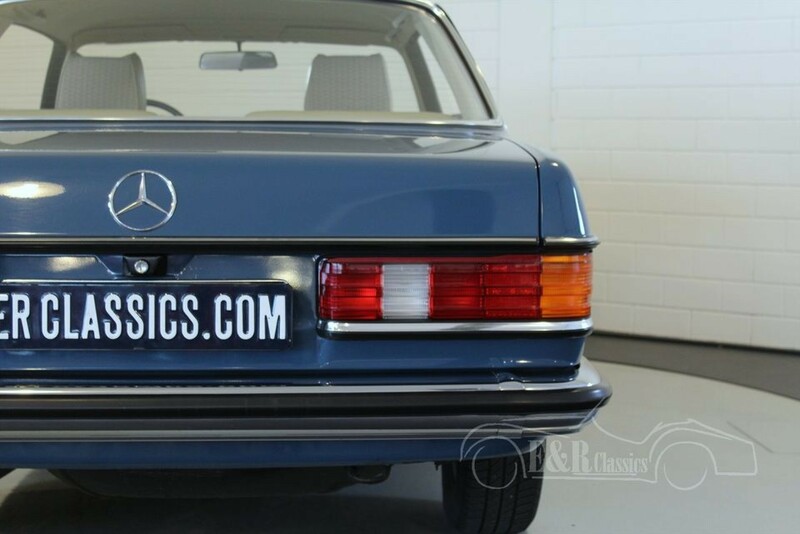 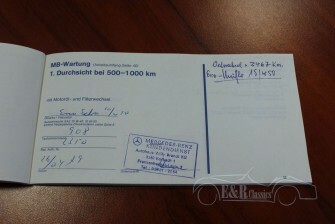 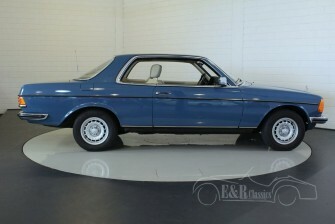 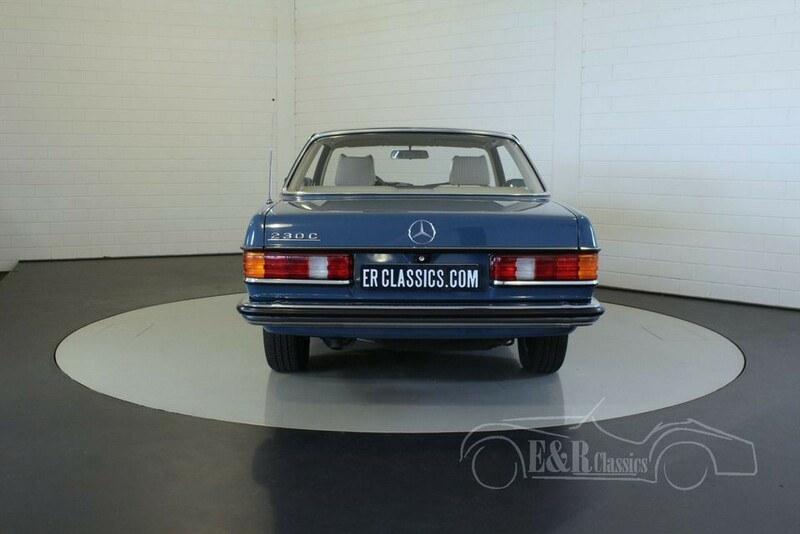 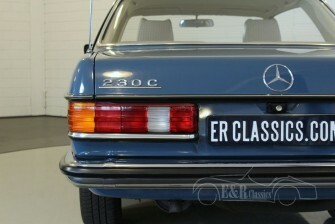 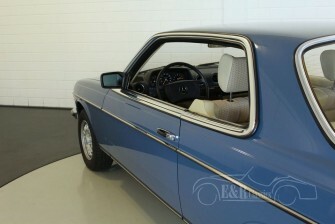 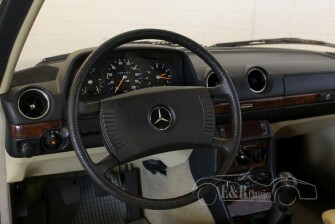 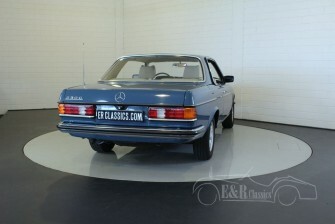 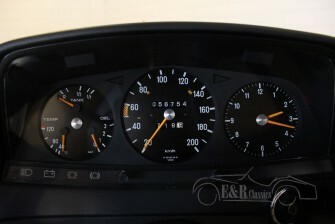 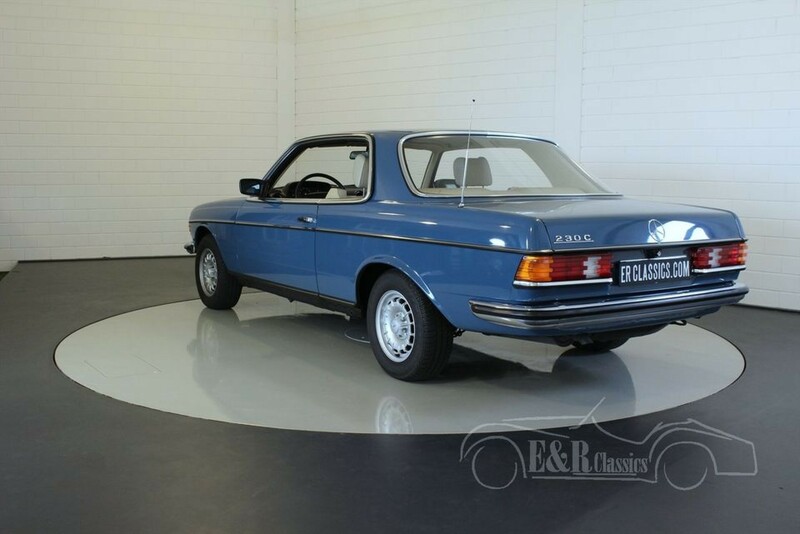 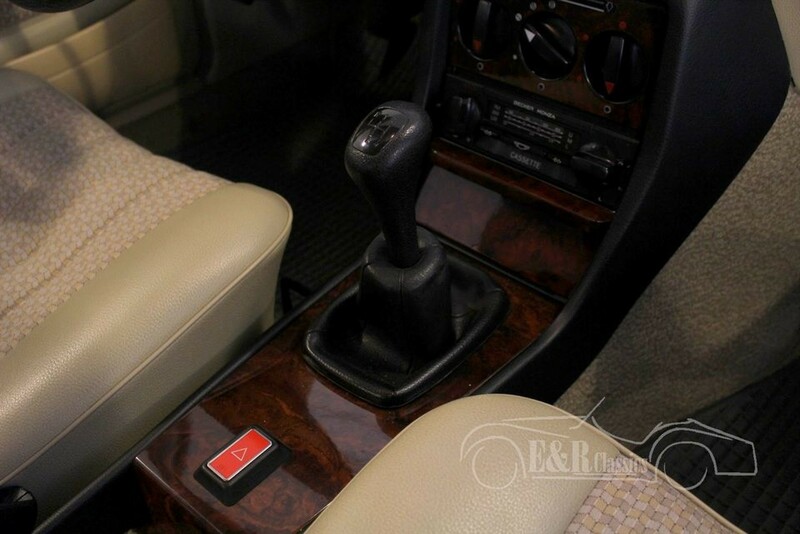 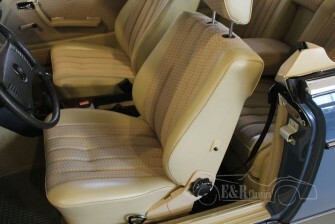 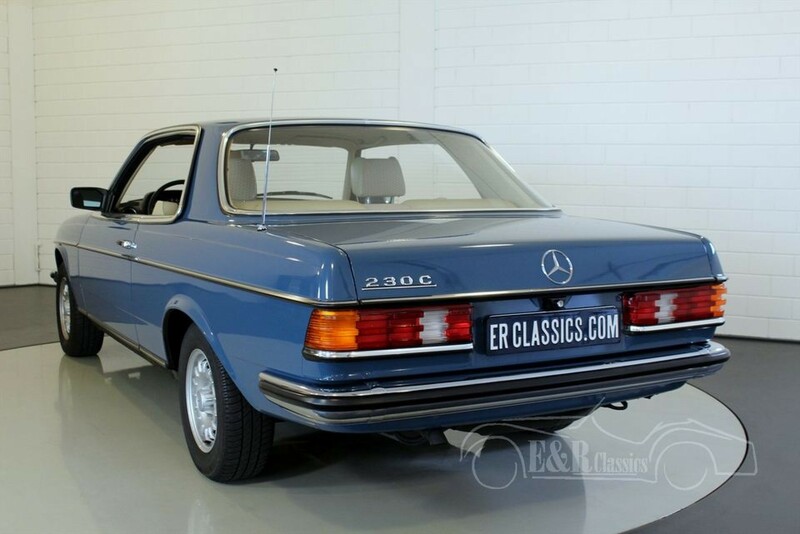 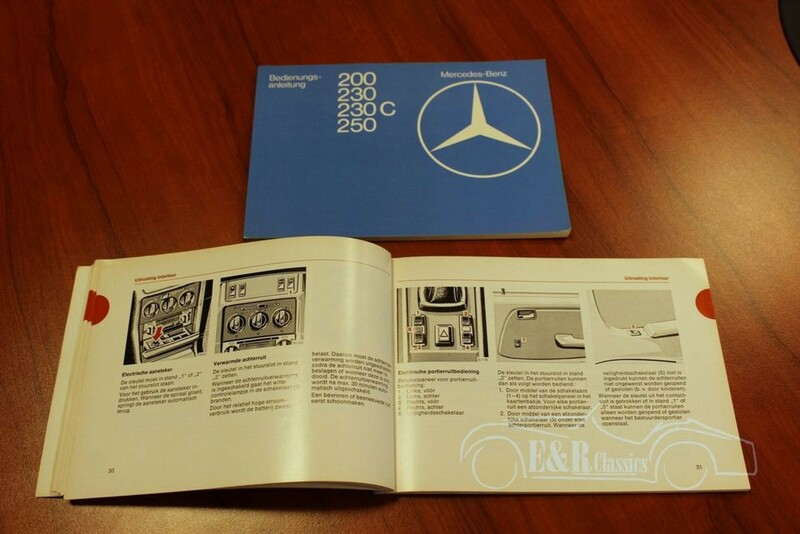 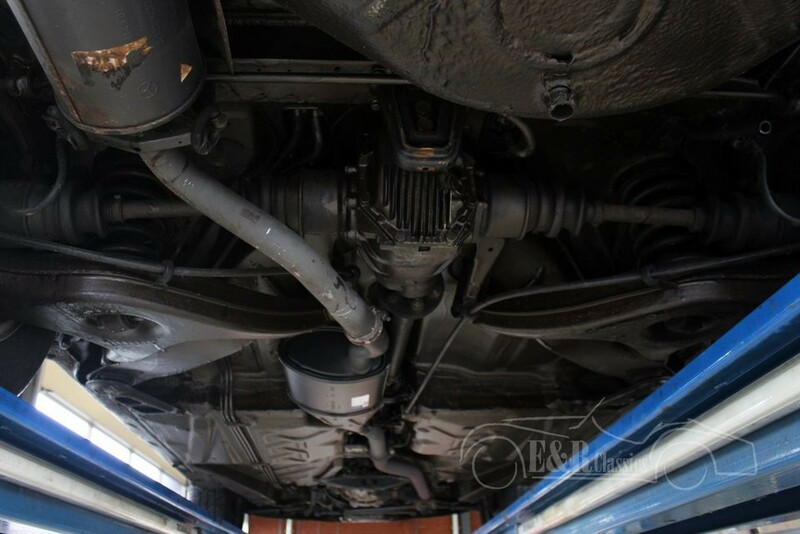 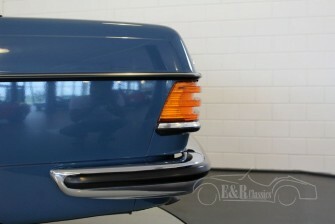 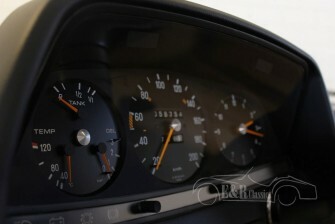 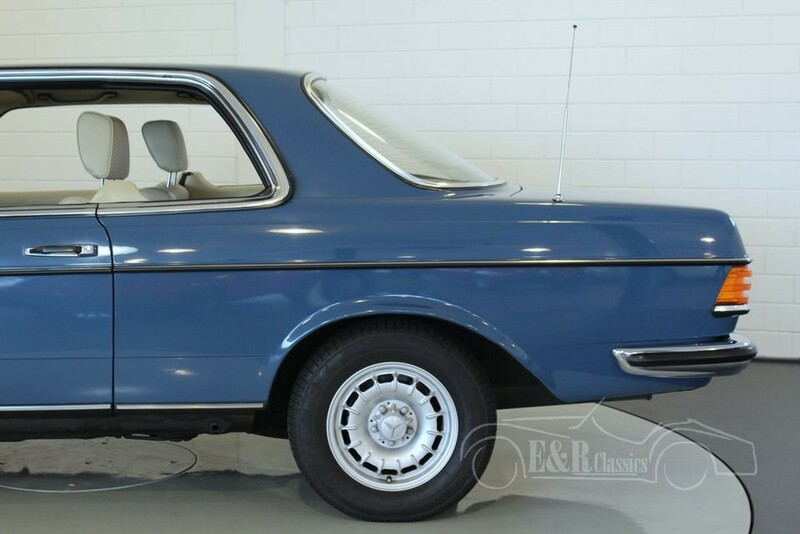 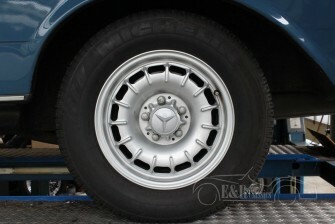 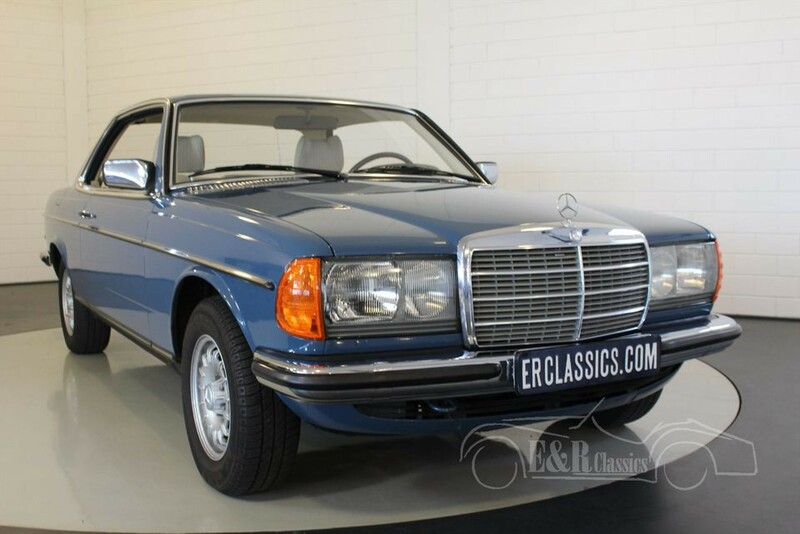 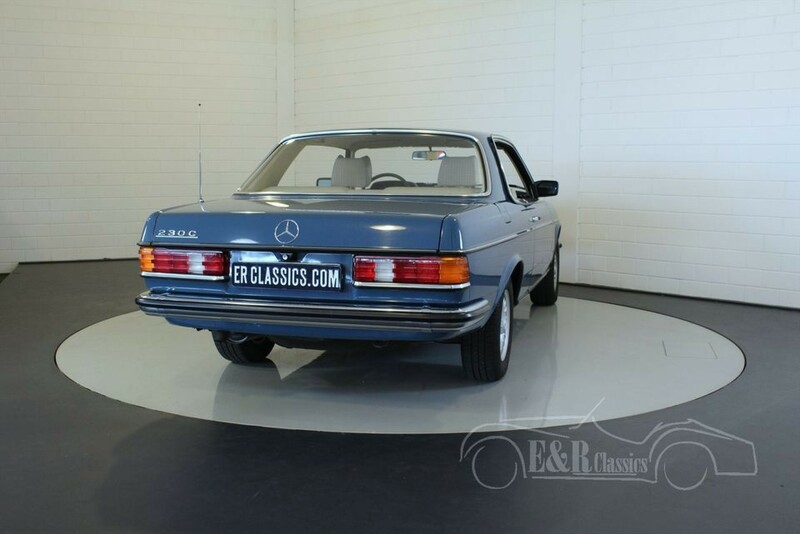 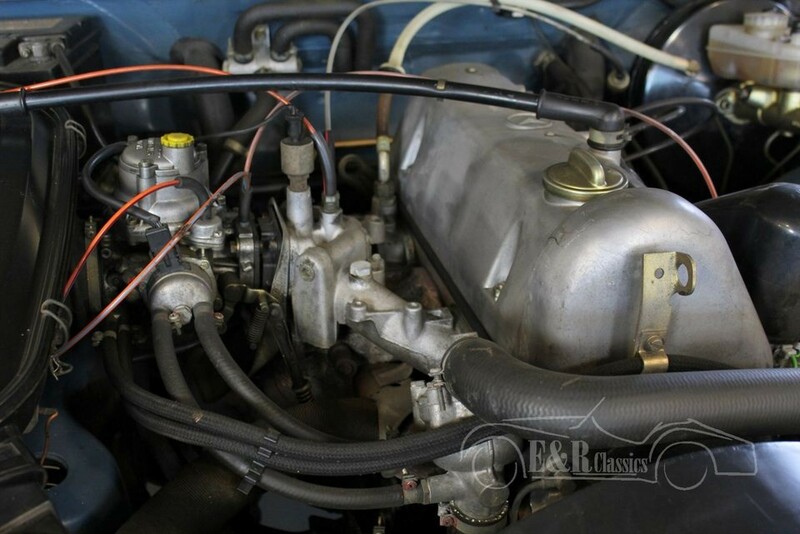 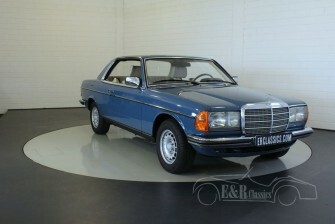 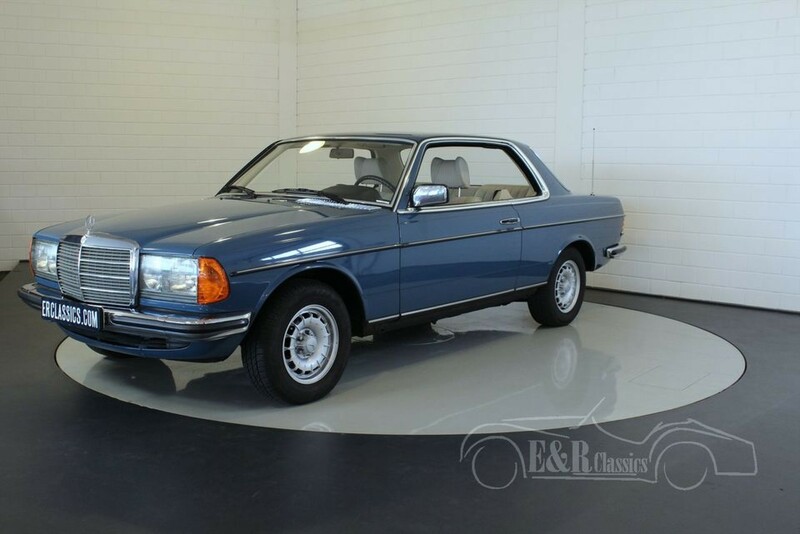 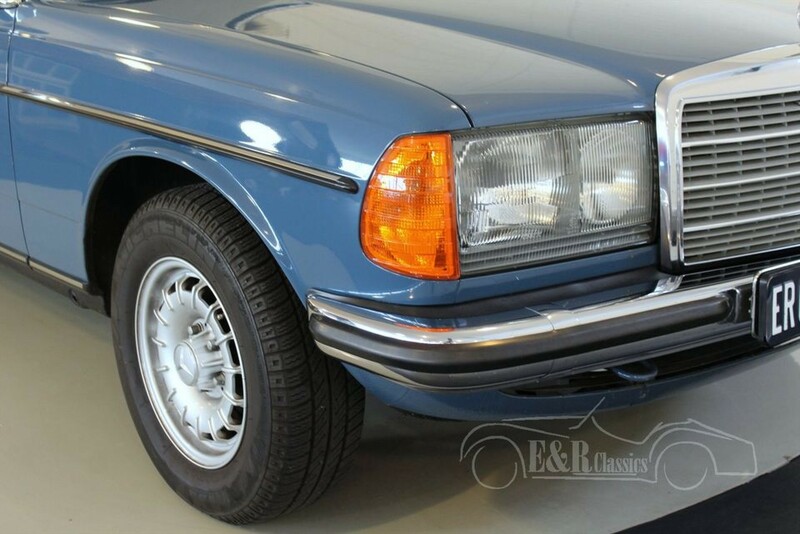 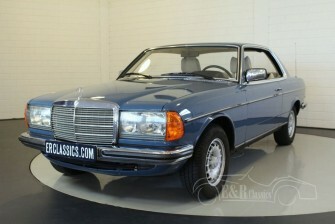 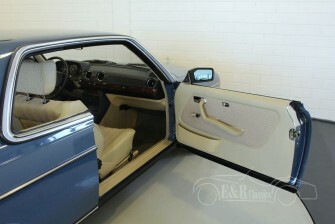 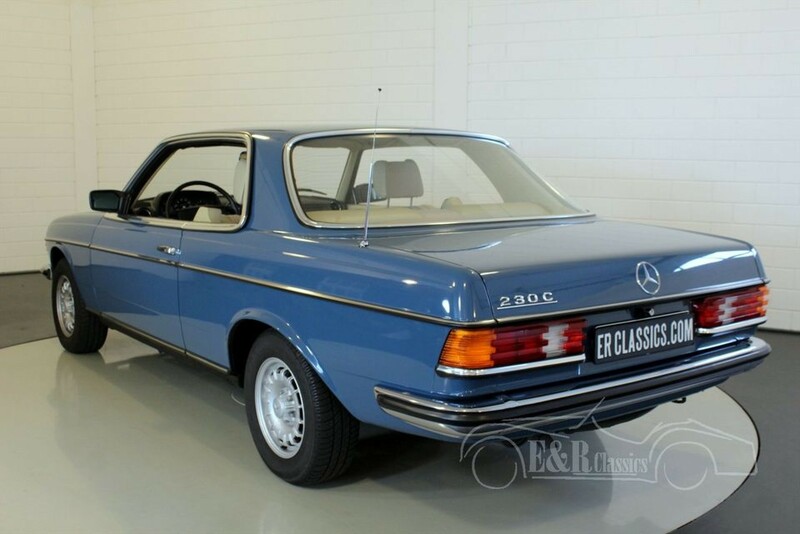 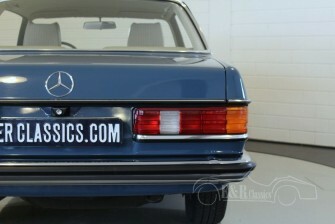 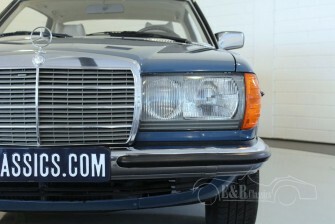 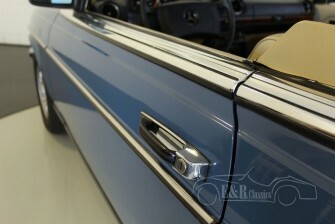 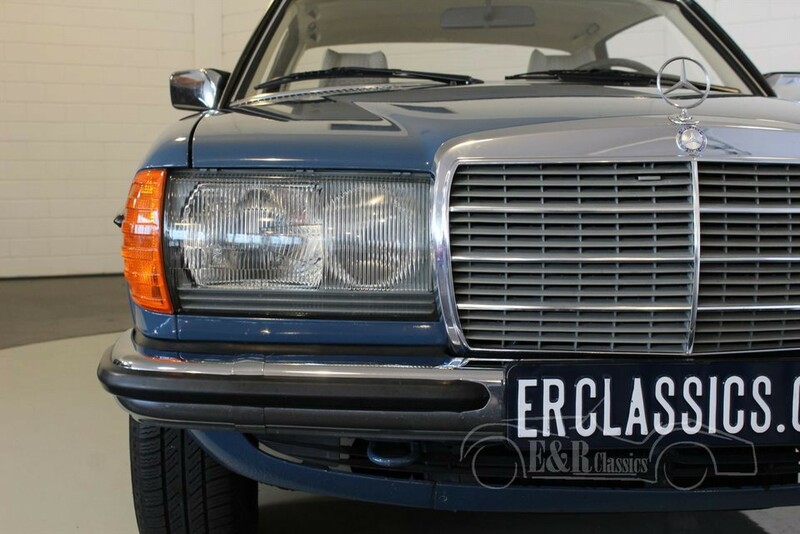 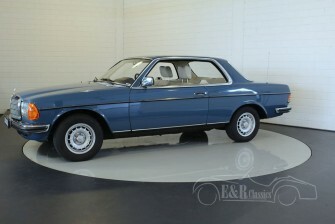 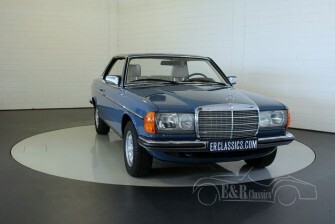 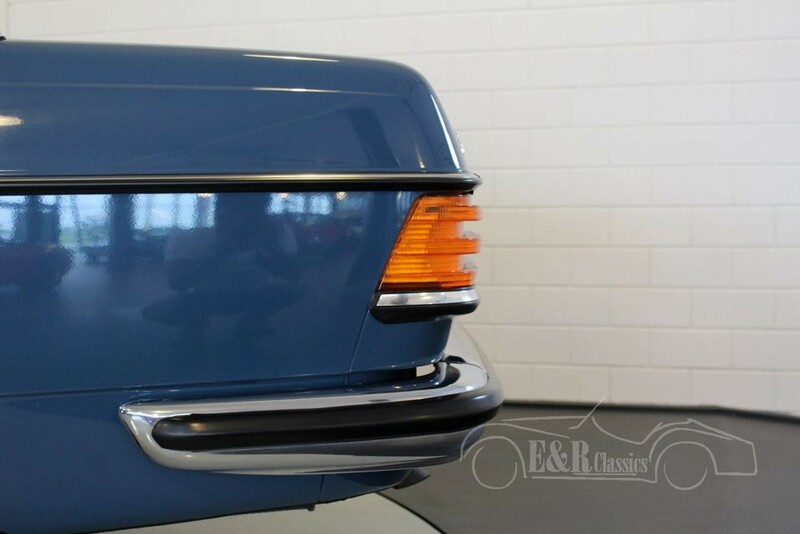 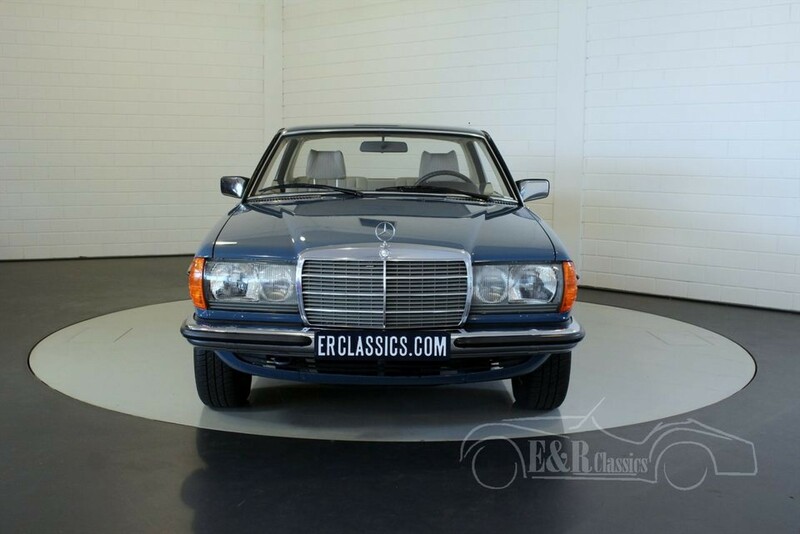 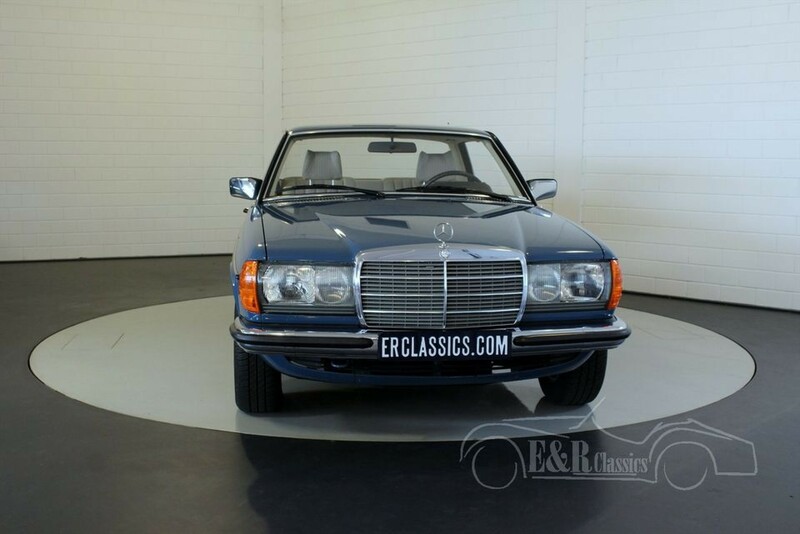 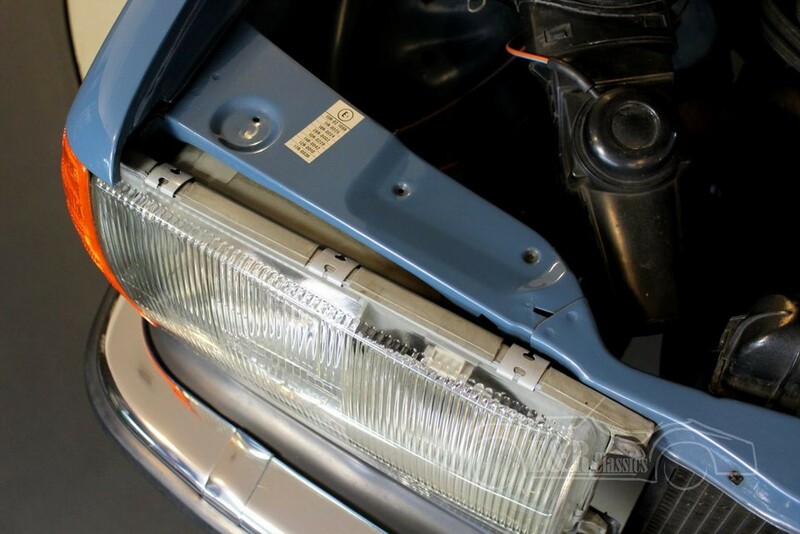 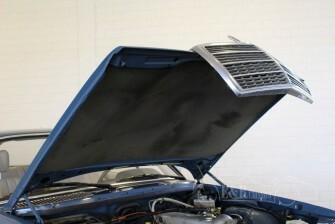 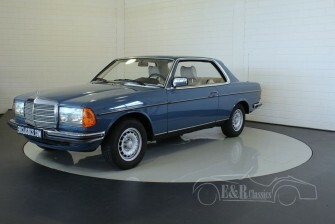 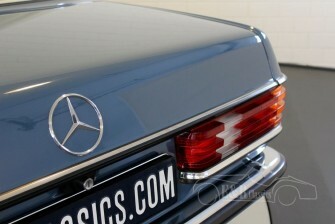 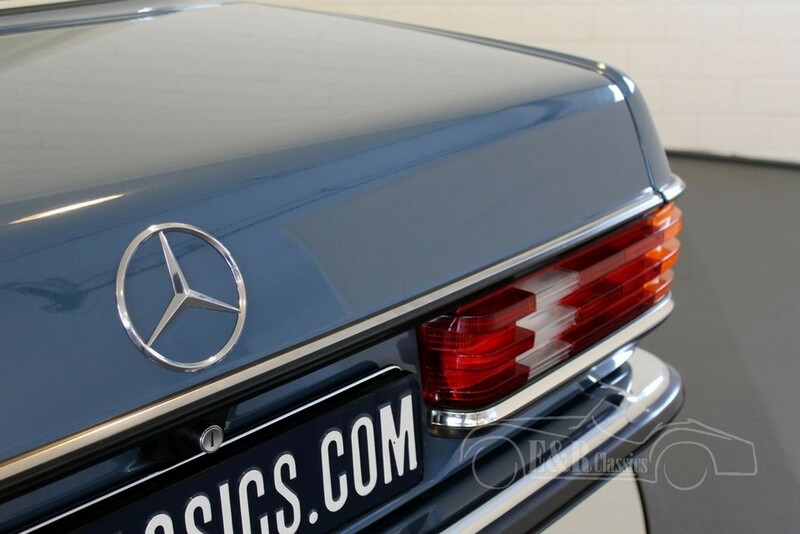 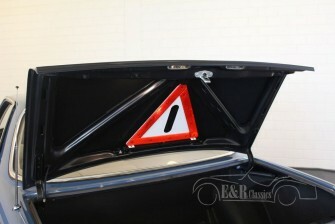 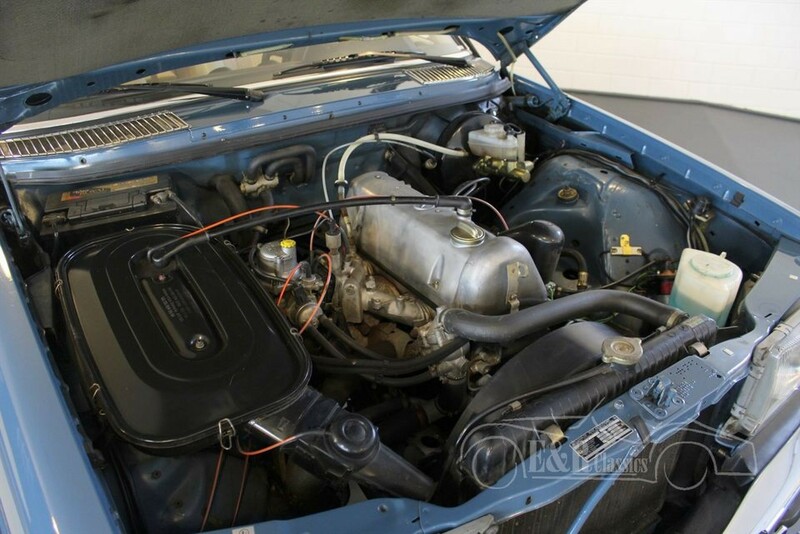 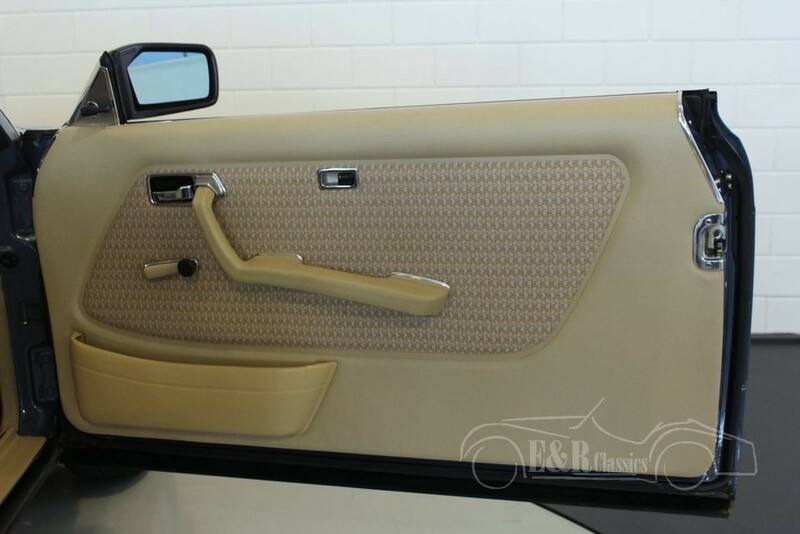 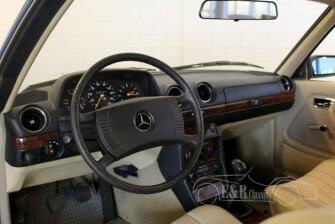 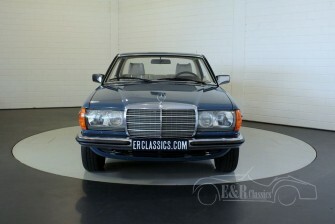 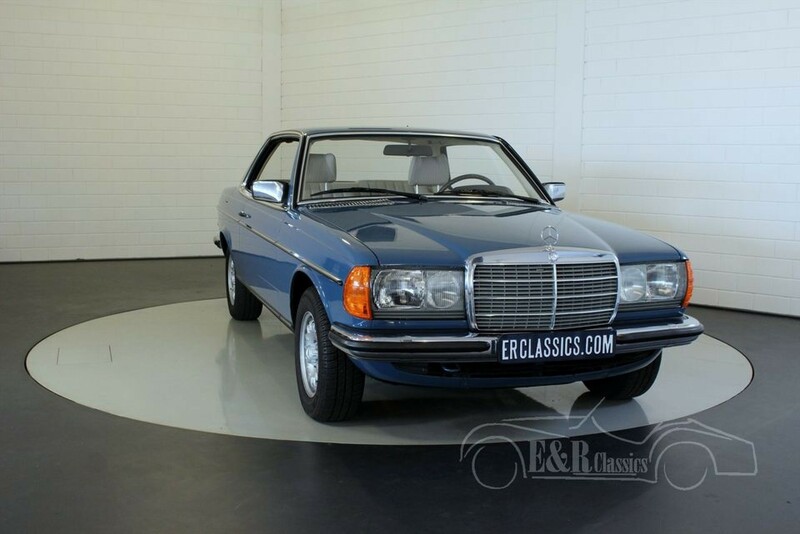 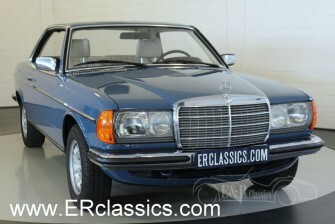 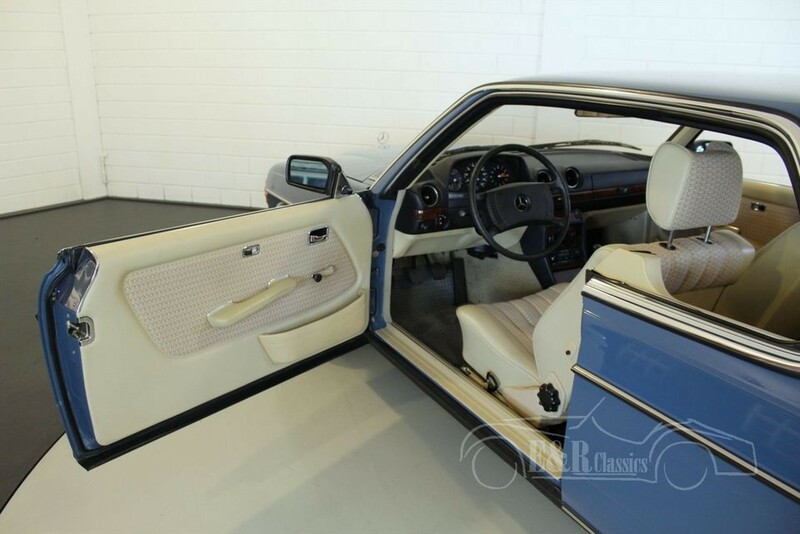 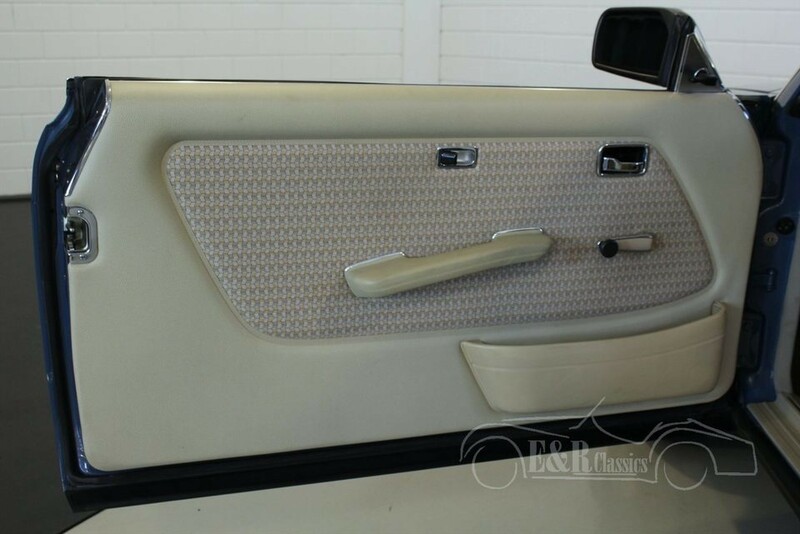 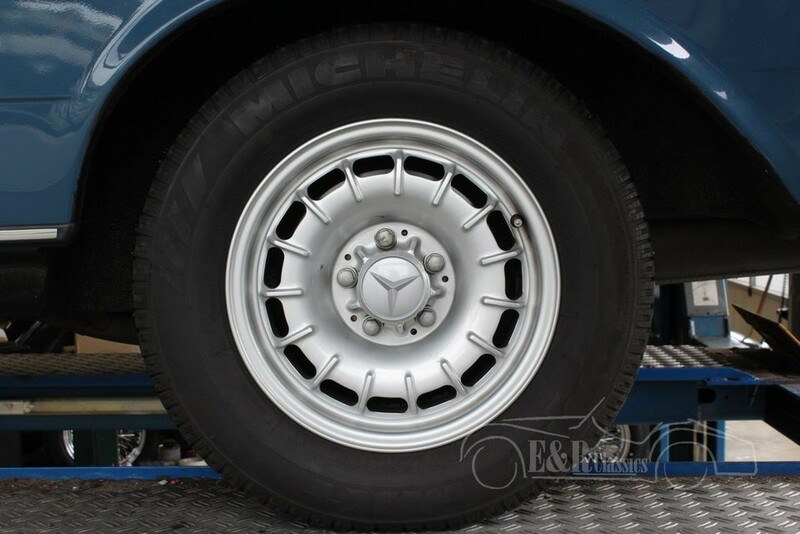 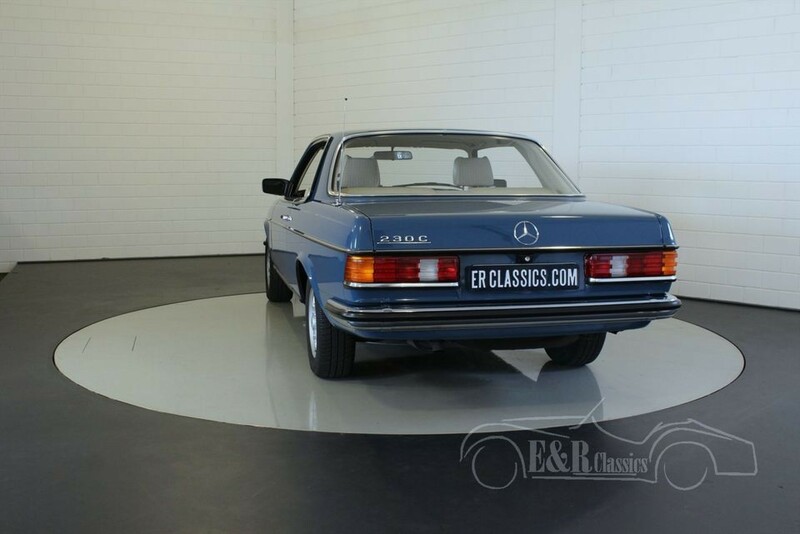 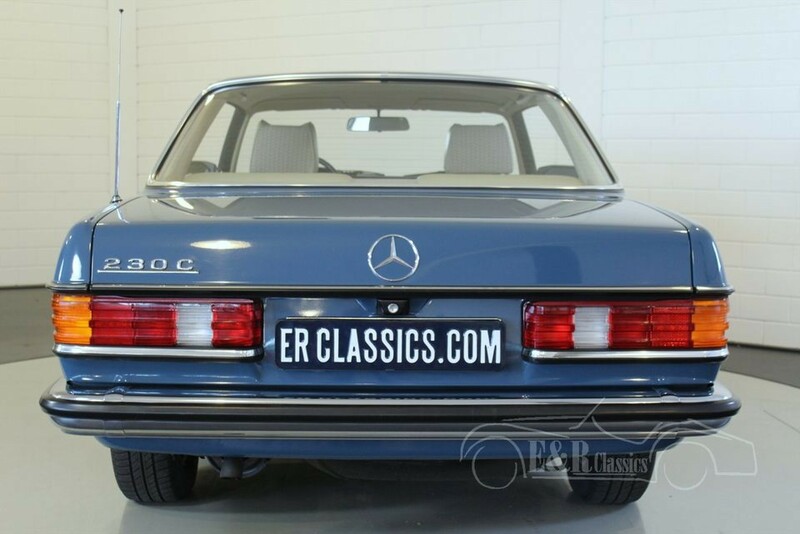 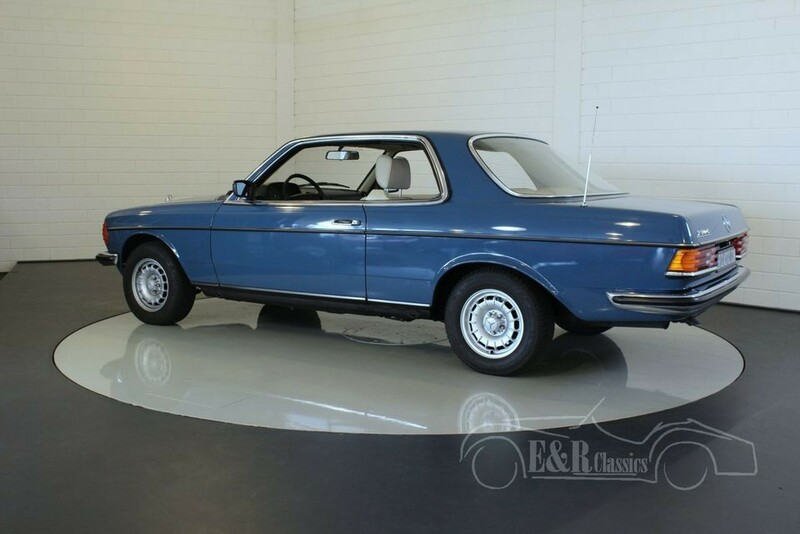 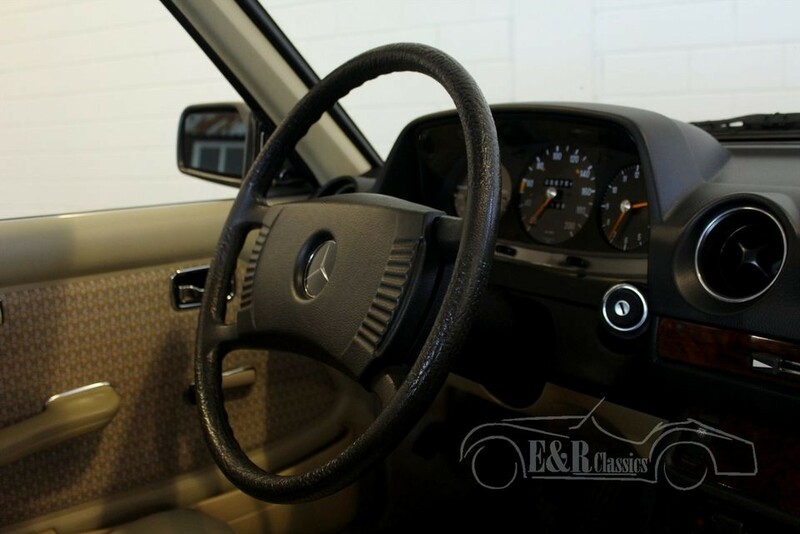 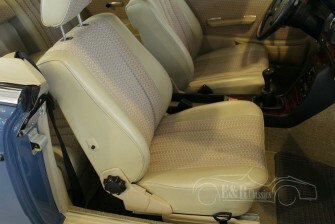 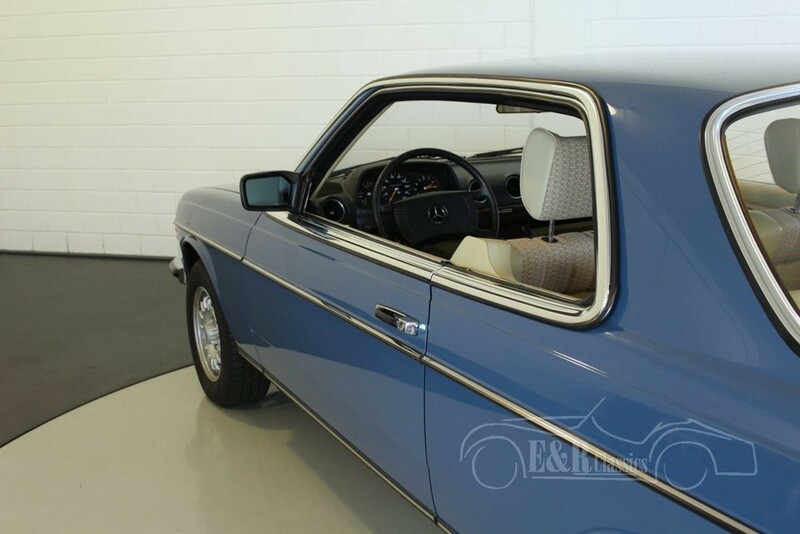 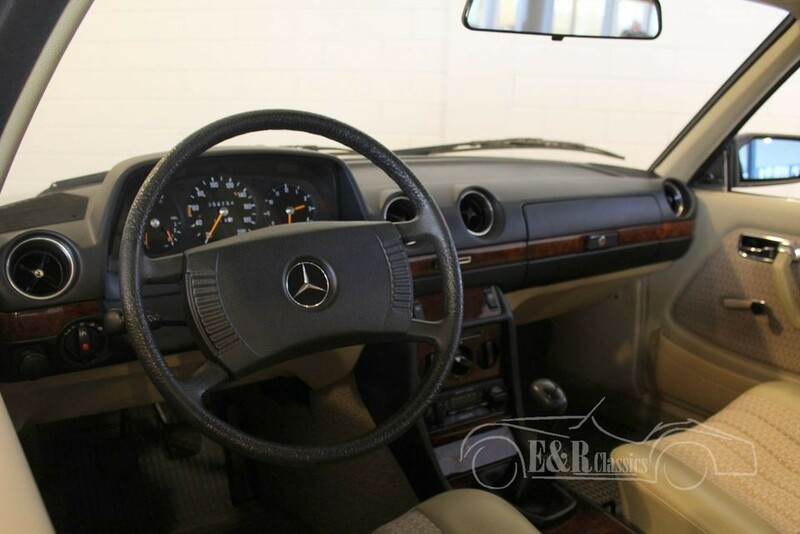 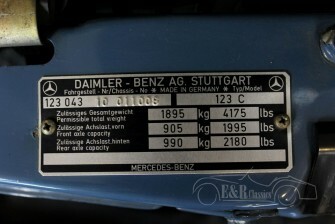 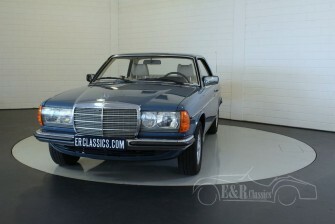 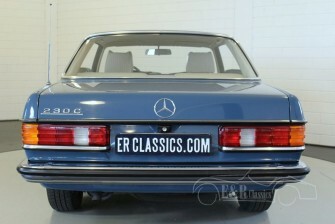 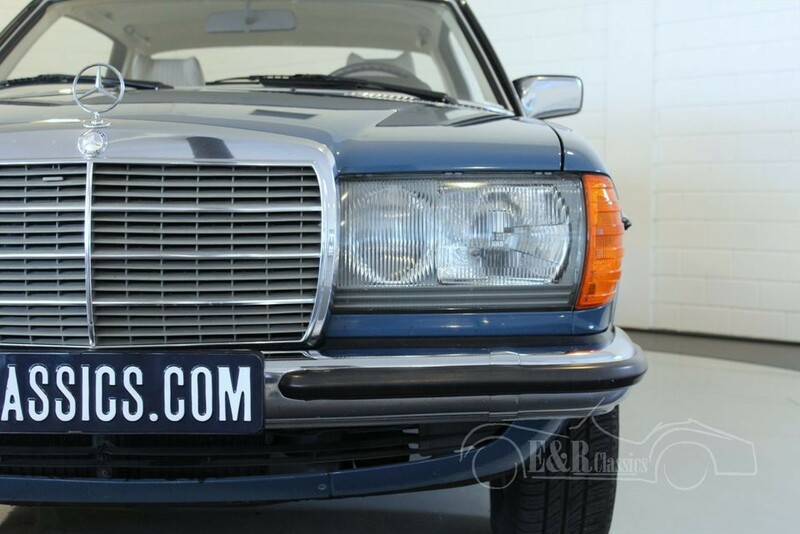 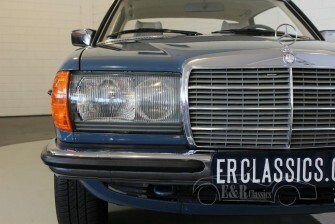 This very beautiful Mercedes_benz 230C is delivered in 1979 and is in very good shape. 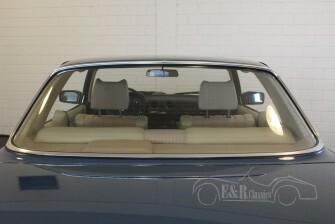 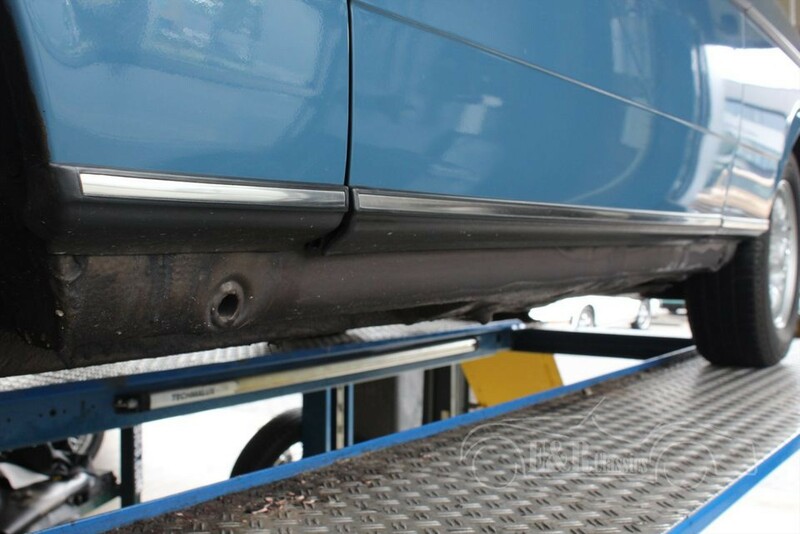 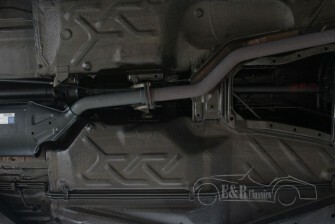 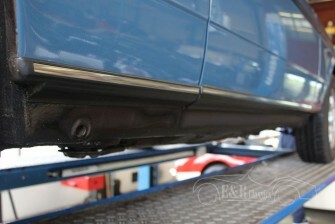 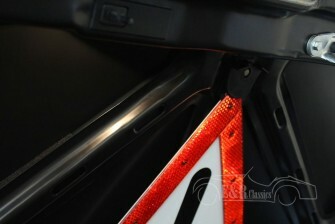 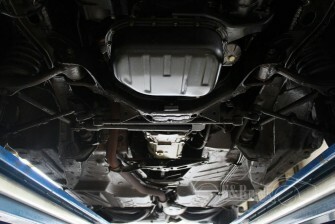 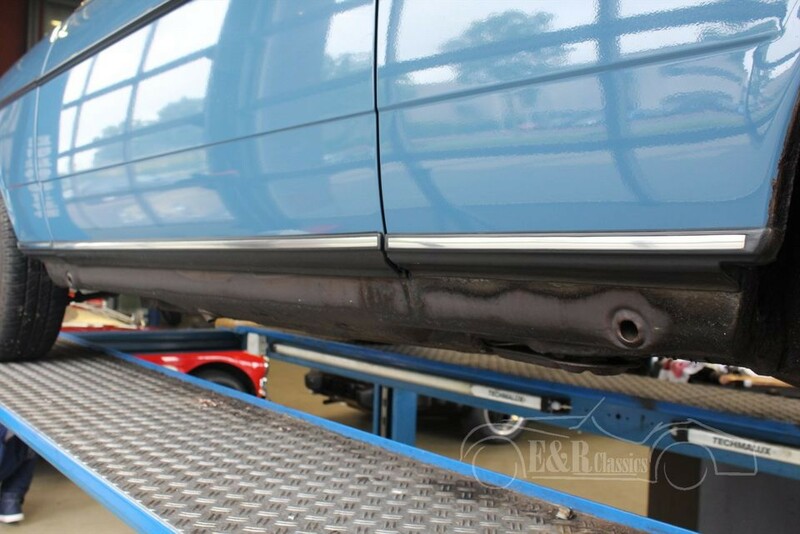 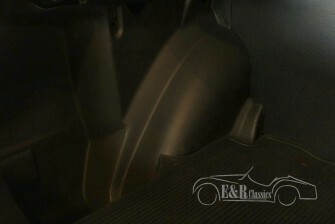 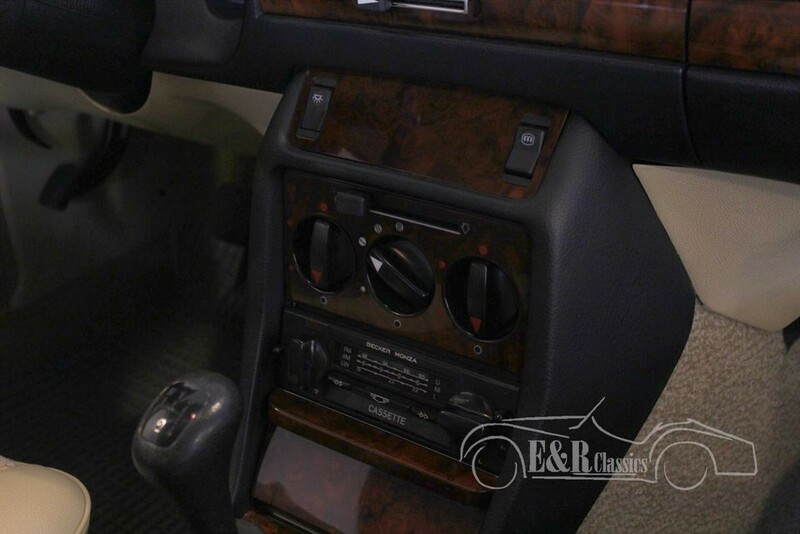 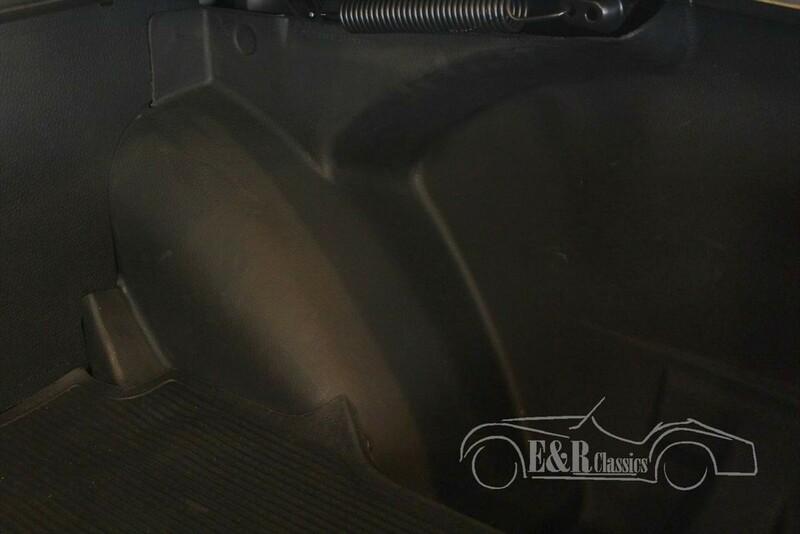 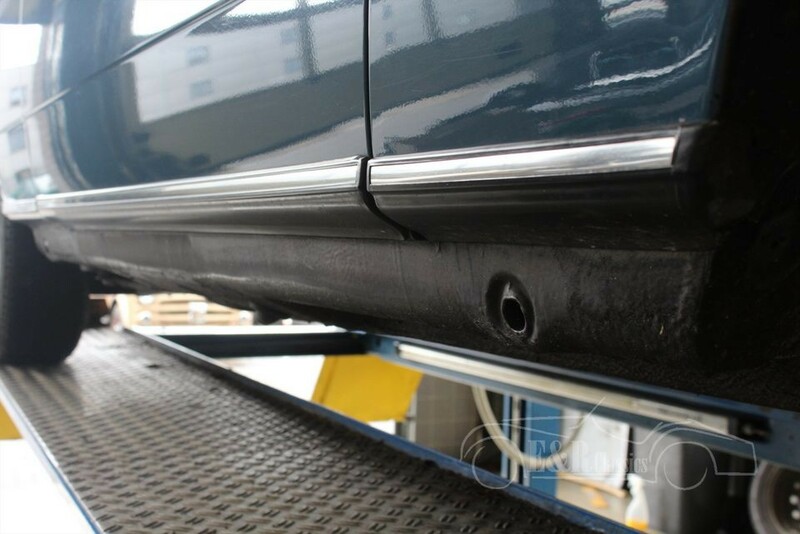 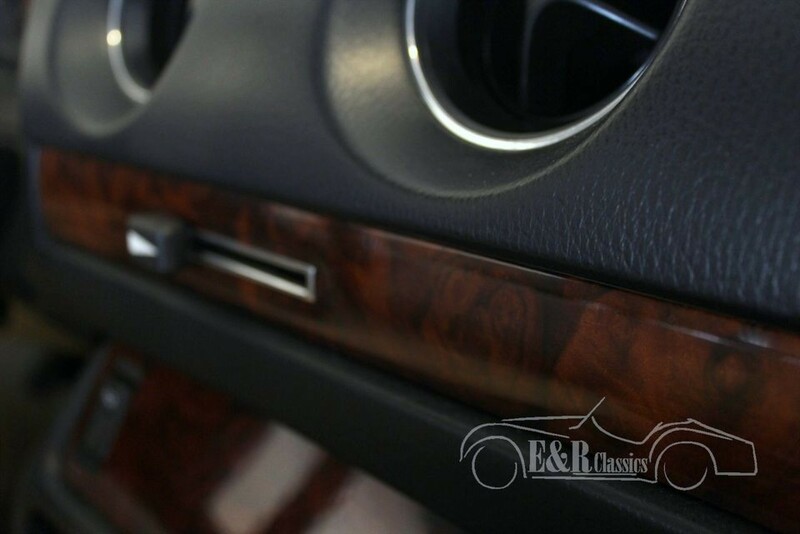 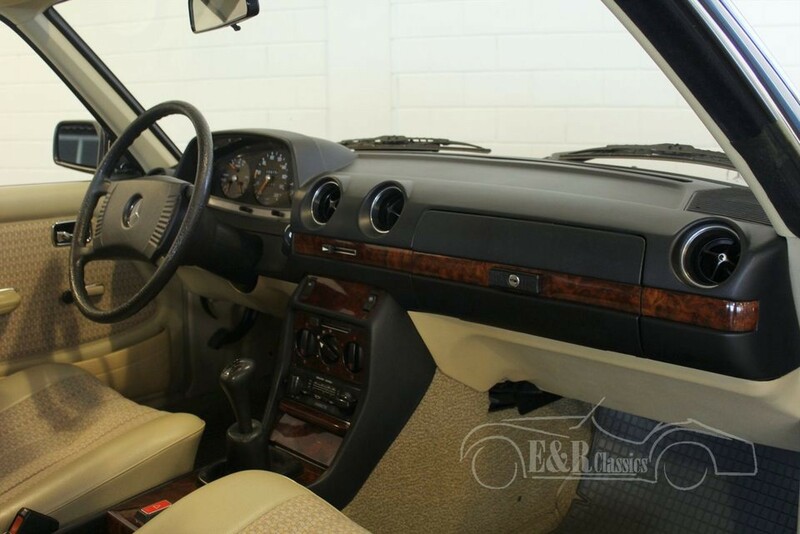 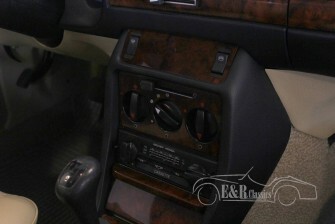 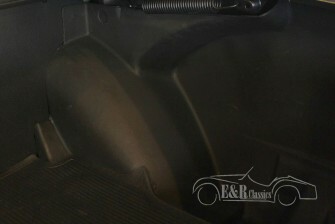 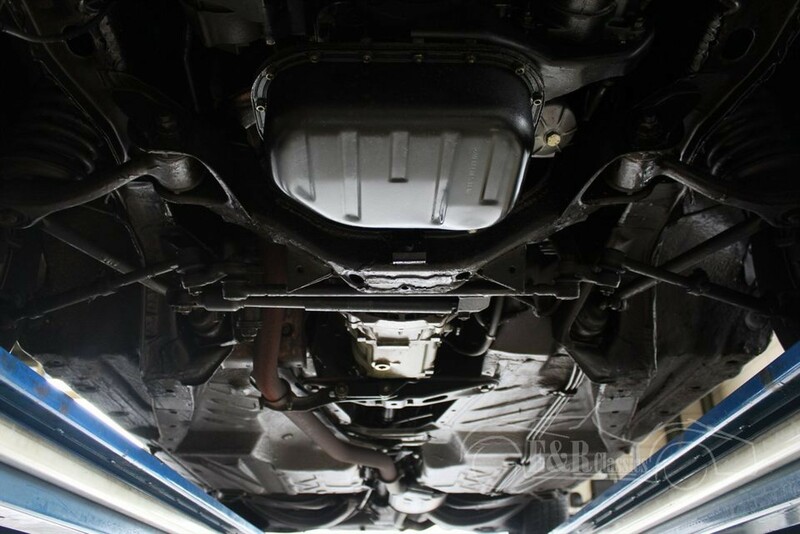 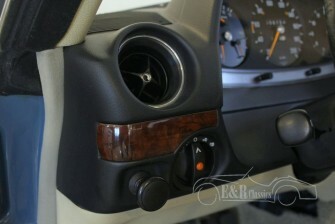 The car is factory original and unimpaired. The car has its first paint Chinablaue and is damage free. 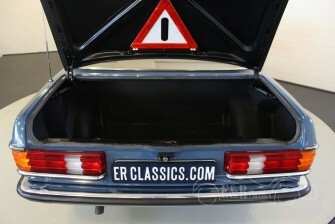 The original dealer notifications are fully filled in and are present. 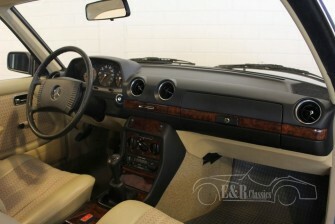 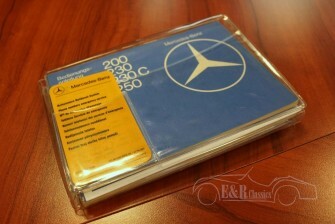 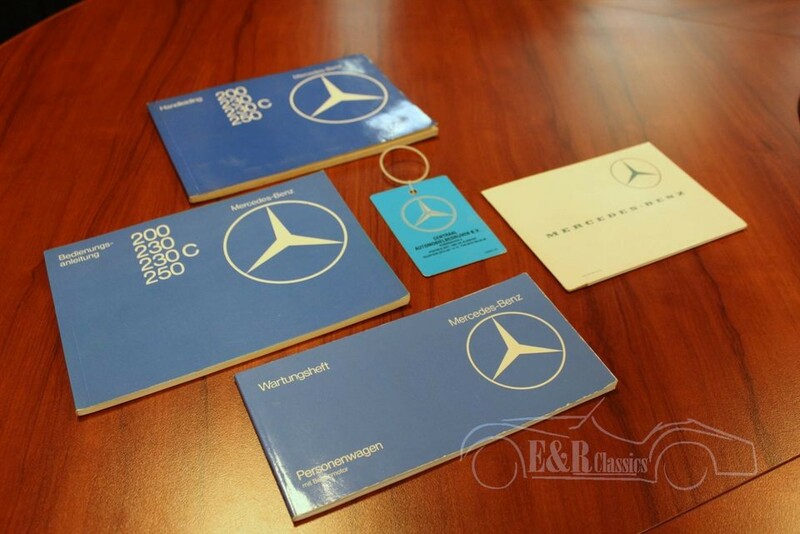 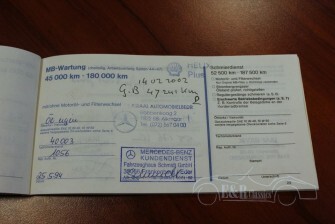 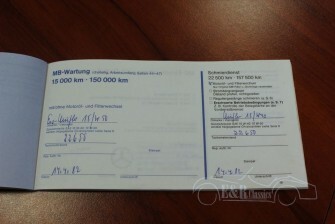 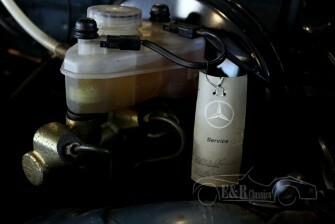 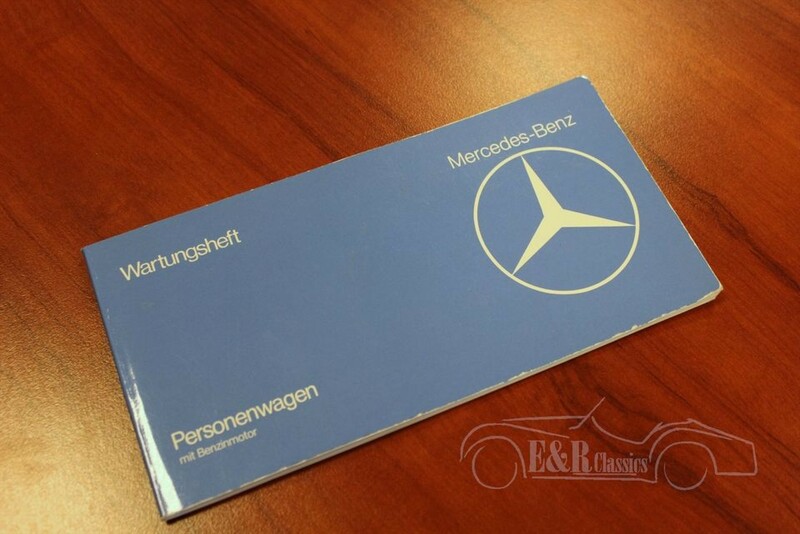 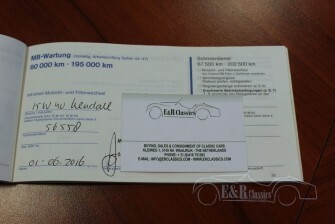 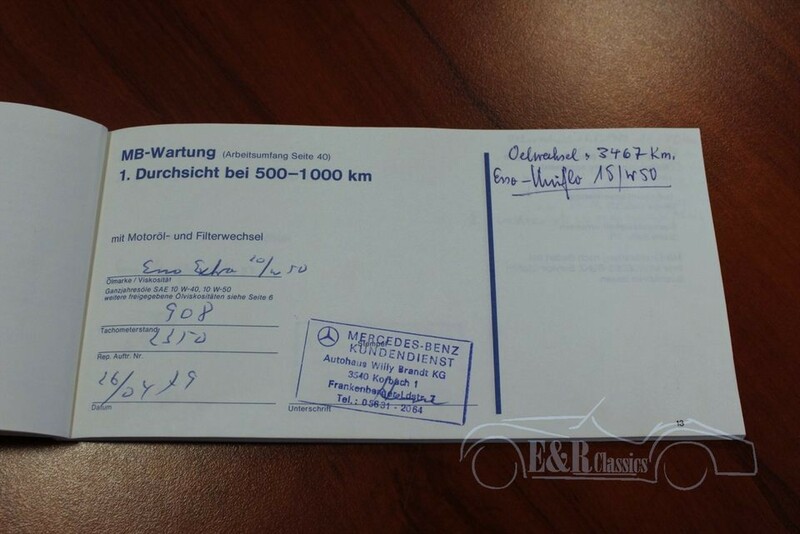 This Mercedes-Benz is a real collectorsitem.